Saturday morning, our bodies are finally about on ship time. We have a lazy morning since we don't get to port until mid-day. 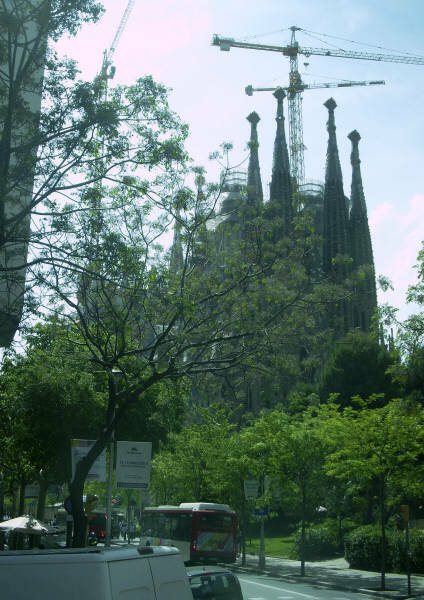 We opt for a bus tour of Barcelona. Our tour guide is an architecture student, so we get a lot of descriptions of "this section of the city is from such-and-such a time and is represented by these architectural features - Modern, Gothic, Moorish, etc." 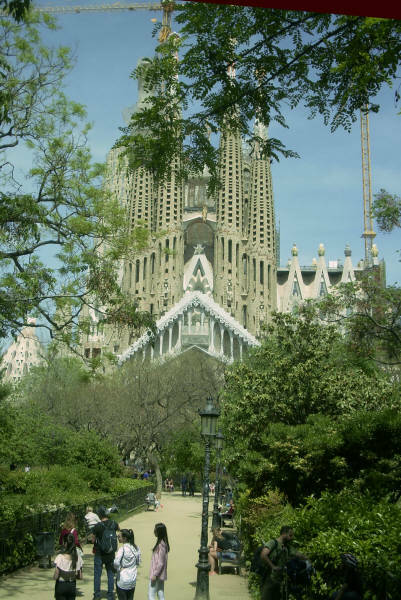 Their most famous Modern architect was Antoni Gaudi (from around the early 1900's) - mostly a "no sharp corners" style of design - but a design of his, the La Sagrada Familia church (with construction begun in1882 and still under construction today) is all pointy towers. A feature found all around the city are the black-and-white stone sidewalks done with complex patterns. 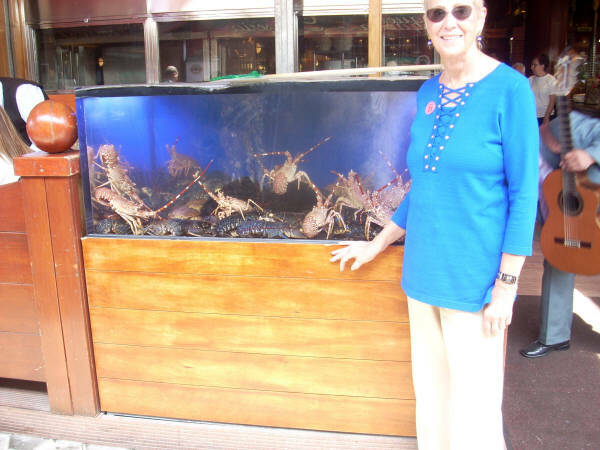 We went to the site of the 1992 Olympics and a nearby park on the waterfront - you could spend a month eating at a new seafood restaurant each day and probably would have missed some of them - and they all smelled good. 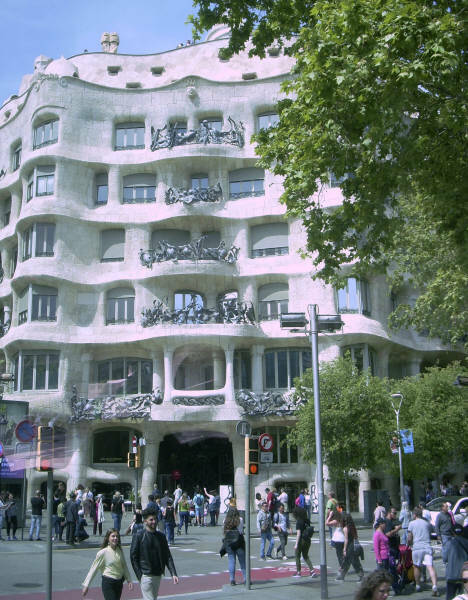 Another famous Barcelona resident was Pablo Picasso - but we didn't have time to go to the Picasso art museum. We had dinner one the ship, but no tablemates - they had large lunches on shore and were skipping dinner. That night was a musical review in the ship's theater. The ship is off for the two day trip to Gibraltar.